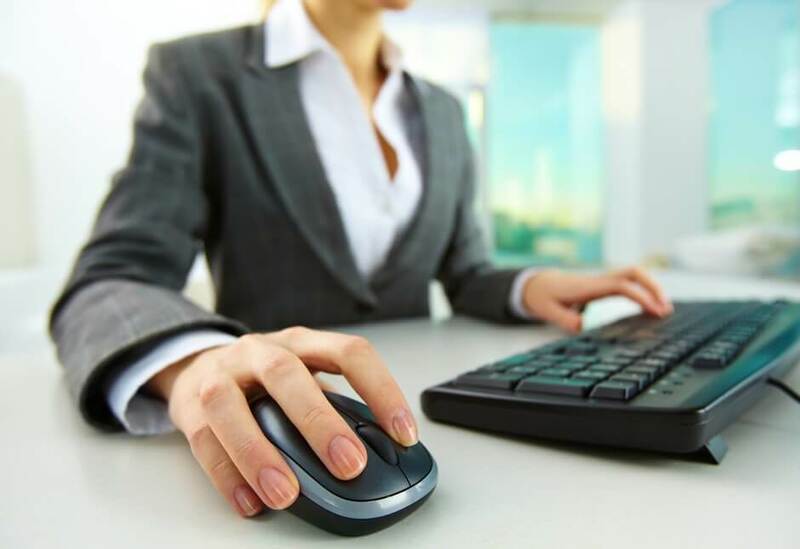 Evidence shows the amount you use a mouse is directly proportional to the risk of developing hand, wrist, forearm, arm or shoulder discomfort, pain or injury (also known as musculo-skeletal disorders or MSD’s). Why? Because our soft tissues do not like too much repetition, holding one position for too long, postures which are not natural or neutral, pressure on delicate tissues or cold temperatures. Unfortunately using a mouse can expose the body to any or all of these. And the more you mouse, the more your body is exposed. Too much repetition. Do you use the mouse lot and LOTS? Usually repetition can be reduced. Holding one position for too long. The primary cause of this is using the computer for many hours. Postures which are not natural or neutral. This comes from either mouse design/shape and/or mouse use habits. Consider your sitting height and desk height. To allow the forearms, wrists and hands to be in best position the forearms need to be approximately horizontal. This may mean raising or lowering the sitting height or desk. Remember to use a footrest if your feet are not firm on the floor. Are the wrists resting on the desk or desk edge? When keying, the wrists should hover above the desk not drop down and rest on it. Try a keyboard wrist rest for cushioning and support. The wrists should only rest on a keyboard wrist rest during pauses in keying. If the pain is in mousing hand only, the mouse is the likely culprit. Try a mouse wrist rest. Try changing to the other hand for a few days or for some of the day to give the affected hand/arm more breaks. Though this feels slow and awkward at first, most people can learn to mouse with the other hand with perseverance and time. Try another style mouse. Organise a trial of an ergonomic mouse from Back Centre’s large range. The Evoluent and Minicute mice are particularly good for hand, wrist and forearm pain as they put the hand and wrist to be in a more relaxed position. Overused, tight muscles can cause pain. Do hand and forearm exercises and stretches at work. Take regular mini breaks from computer use and let the arms hang down, shake them out and relax. If your hand, wrist or forearm pain stays we suggest you arrange a workstation assessment by an experienced therapist. Many people use the mouse much more than necessary because they don’t know computer shortcuts and keystrokes. What will help you will depend on what work is done on the computer. Some newer keyboards have time saving shortcut keys. Commands such as COPY, PASTE, SAVE, PRINT, EMAIL, UNDO can be done with one keystroke.